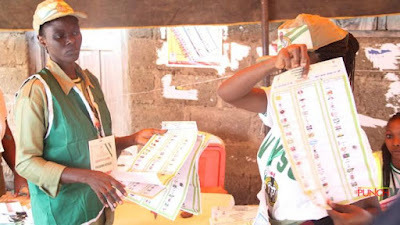 Human rights activist, Inibehe Effiong has advised the Peoples Democratic Party (PDP) on what to do in the face of the recent inconclusive election in Osun State. Some Nigeria and the PDP are tackling INEC over perceived bias. Among them is Bukola Saraki, Senate President, who advised the opposition party to seek redress in court. though the PDP had the right to challenge the declaration legally, nothing good will come out of it. “Can PDP challenge the decision of INEC? They can, but nothing will come out of it going by the reasons given by the Commission. PDP should prepare for the rerun and not dissipate energy and resources on fruitless legal niceties,” Mr Effiong advised the party. Effiong advised the 48 political parties involved in the election to beam focus and be ready for the supplementary election because the apex court in the land hasn't nullified election in recent times.